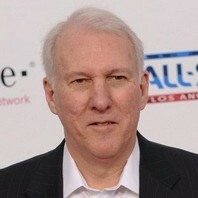 Prolific NBA coach of the San Antonio Spurs who led the team to five NBA championships from 1999 to 2014. He won his third NBA Coach of the Year award in 2014. How much is Gregg Popovich worth?